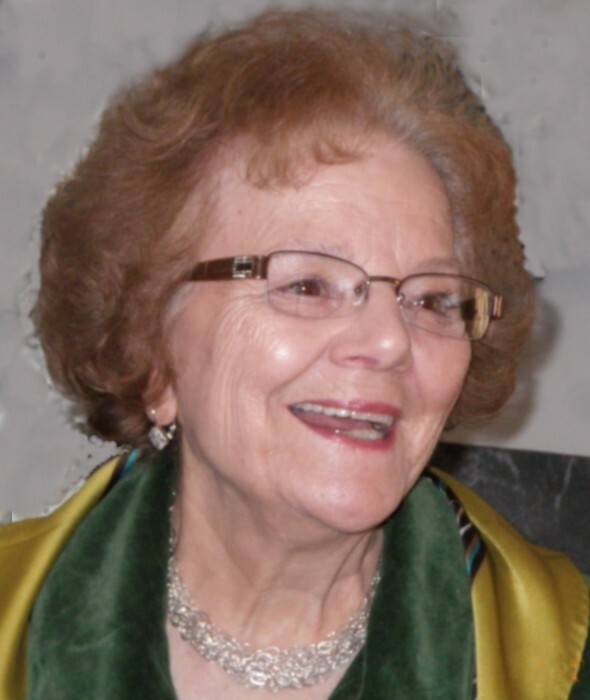 Anne C. Petrella, age 94, of Downingtown, PA, passed away peacefully on Sunday, March 31, 2019. Born in Flushing, Ohio, Anne moved to Downingtown at a young age and graduated from Downingtown High School where she excelled in shorthand and field hockey. Following graduation from Taylor Business School where she won awards for her fast typing, Anne became a personal secretary at Schramm Inc. in West Chester. While raising her family, Anne spent many a day as the front cashier at her parent's popular neighborhood DiBernardi's Grocery Store on Highland Avenue where she and her brother John became well known throughout the town for their "penny candy" counter. Later, Anne went to work with her late husband, Joseph R. Petrella, running the front office at Petrella's Express Trucking firm. In 2016 Anne moved to Brandywine Living at the Brandall Estates in Linwood, New Jersey. Anne became known for her winning participation in "Food for the Brain" and the daily news reporting sessions, and her avid love of Philadelphia sports, especially the Phillies. In addition to her husband, Anne is preceded in death by her parents Berardino and Maria (Pezzopane) DiBernardi, and brother John “Butch” DiBernardi. Anne is survived by daughter JoAnne Sparagna (Angelo), and son Joseph Petrella, 2 grandsons; Brian and Michael, and great-granddaughter Isabelle. A Funeral Mass will be held on Wednesday, April 10, 2019, 11 am at St. Joseph Church, 332 Manor Avenue, Downingtown, PA 19335, where family and friends will be received from 9:30am-10: 45 am. Interment St. Joseph Cemetery, Downingtown, PA. In lieu of flowers, a donation in Anne's honor can be made to the St. Jude Children's Research Hospital.